Until now I only baked sweet muffins so this time I decided to bake some salty ones. I looked through different muffin recipes on the internet but somehow I did not find anything I liked. Eventually I decided to invent my own recipe. I had some beetroots in the fridge so the choice was easy. I use beetroot quite often when I cook. I can not help it, I love its the taste 🙂 Besides, beets are very healthy, so it’s double gain. Ingredients You need to make muffins. 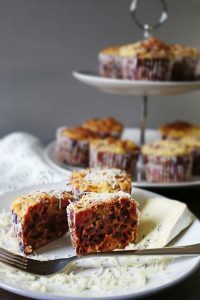 How to prepare beetroot muffins with cheese. Peel the beets, cut them into rings, pour olive oil over them and sprinkle them with salt. Bake for 30 minutes at 180 Celsius degree. Once baked, let them cool down. Mix or cut into small pieces afterwards. 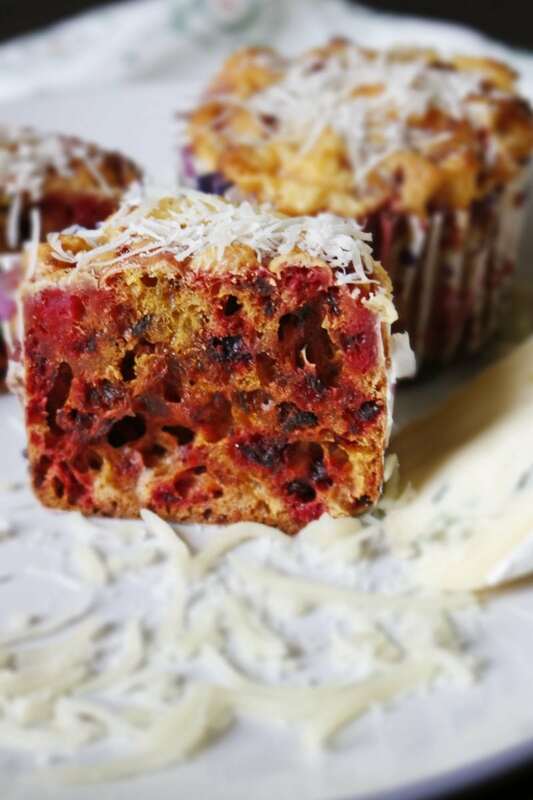 Mix the beets, yogurt, flour, egg, baking powder, baking soda, salt, sugar and Parmesan cheese in a bowl. Mix the soft cheese with salt, pepper and egg yolk. Whip the egg white, add it to the cheese mix and gently fold it together. As for the muffin cases, first add the beetroot mix into them. It should be around a spoon and a half of it for each. On the top of them, add the cream cheese filling. Bake it in the oven preheated to 180 degrees Celsius degrees for 35 to 40 minutes. What You need to know to make savory muffins. 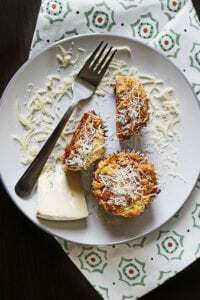 If you use paper muffin cases, cover them with butter or oil from the inside. There is no grease in a beetroot mix so it might stick to the paper case. It is best to use silicone cases for this recipe.